Twitter has grown quickly since its inception. With its crisp 140-character limit (since increased to 280), and the variety of quality content, it was an instant hit with users. However, it’s not enough to just send out an occasional tweet and expect audiences to find you. Your brand needs to stay consistently engaged to connect with your audience and drive conversation. There’s a reason why Twitter is still one of the top 5 social media channels and continues to thrive. Its 330 million monthly active users are proof of that. From a marketing perspective, the immense user commitment is a great opportunity for brands. 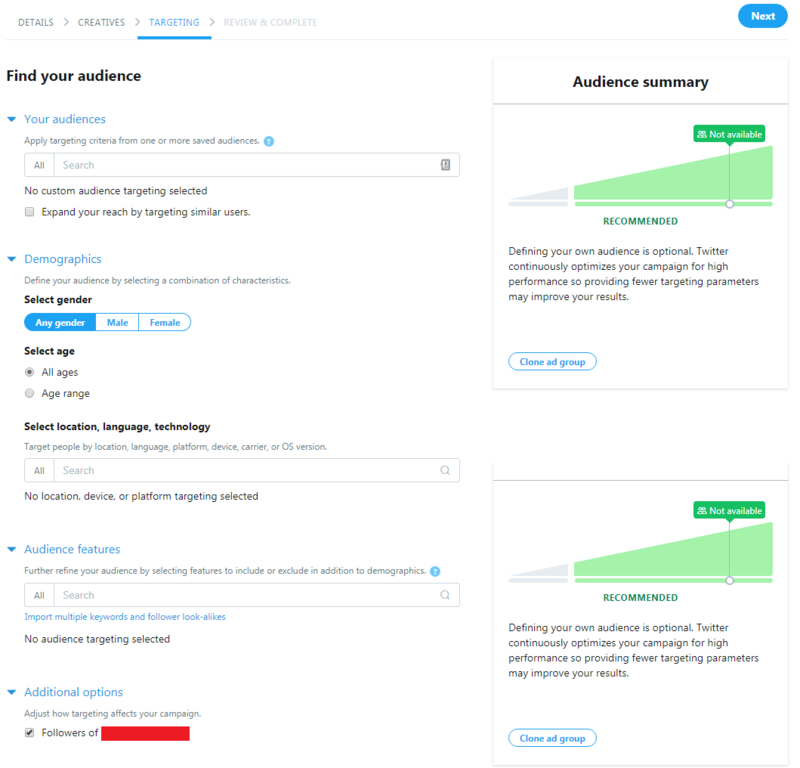 Read on to learn about the opportunities Twitter presents to connect meaningfully with your audience. This vast base of active users is one of the biggest perks of Twitter. It allows you to target a dedicated niche audience – one that will be more willing to engage with your brand. Targeting on Twitter is a lot different than on Facebook. You may find the platform less granular, but there’s huge opportunity thanks to the unique characteristics of Twitter. The openness of the platform increases the viral potential of your content. Even with an audience of 100 people, a retweet from a major influencer can help you reach thousands of users. This can give a major boost to your Twitter engagement rate. While your content still reaches all of those people who are most likely to leverage your brand’s services via your followers, an added benefit is that you can also reach the followers of the people who retweet you. The immediacy of Twitter also works in favor of it as a platform to engage customers. If you have something new to share with your followers, you usually share it on your blog. But the information may take a while to trickle through your intended audience. You could send out an email newsletter, but the reach or immediacy may still be limited. But with Twitter, you can get that information out as fast as you can type 280 characters. It’ll appear immediately in the feed of anyone online at that point and can be discovered by those who check later. 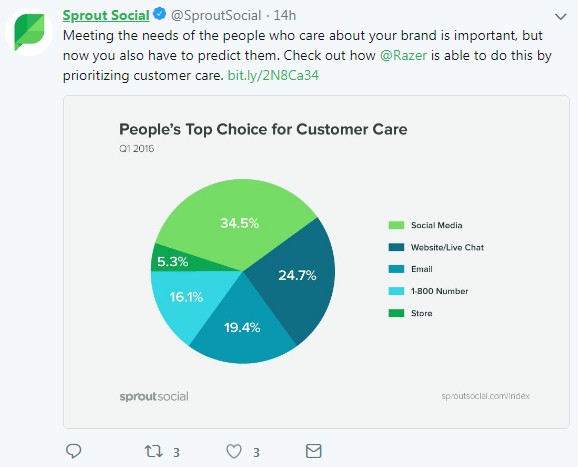 Brands can leverage this to share news on product launches and updates, or keep customers updated on service outages or other widespread issues. Additionally, you can also use Twitter to share live videos of events you’re hosting or taking part in. Pair that with coverage of the event using live Tweets. Live Tweeting makes for a great strategy which will result in soaring Twitter engagement rates during an event. 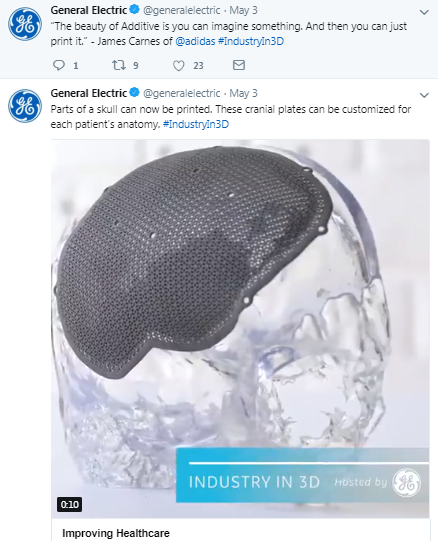 Just look at General Electric’s coverage of their 3D Printing Summit, earlier this year. They live-tweeted the happenings of the event by leveraging the #IndustryIn3D hashtag to drive further engagement on Twitter. Primarily, they shared what industry experts had to say about 3D printing in additive manufacturing. The unique hashtag helped the niche audience for this content stay up to date throughout the event. Twitter’s immediacy is especially well-suited for customer service. People expect brand Twitter handles to be monitored regularly. It’s one of the best places for customers to directly interact with businesses. No wonder 85% of SMBs leverage Twitter to provide customer support to their patrons. Twitter knows this and does its part to facilitate this. Take their Quick Replies functionality, for instance. 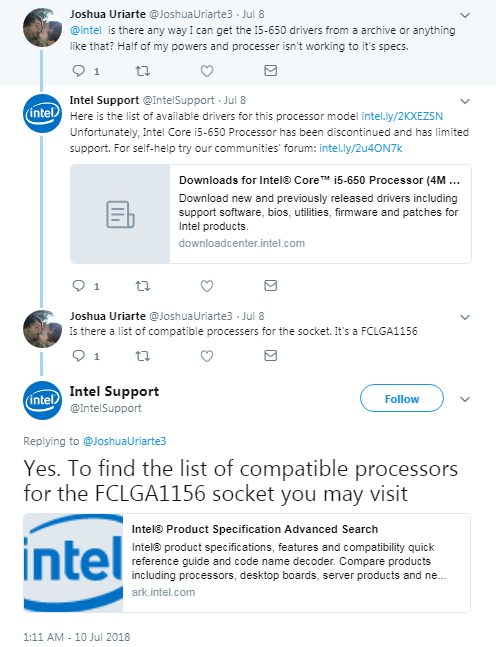 Take a look at Intel’s dedicated support account for ideas on how to implement this. They use it to promptly address questions from customers. When it comes to customer-brand interactions on platforms like Facebook, most readers assume the responses are meant to be public-facing and not completely personalized to each user. While it make seem like a small distinction, on Twitter the replies, although public, are hidden by default. This gives people the impression that the conversation is more personal and direct. 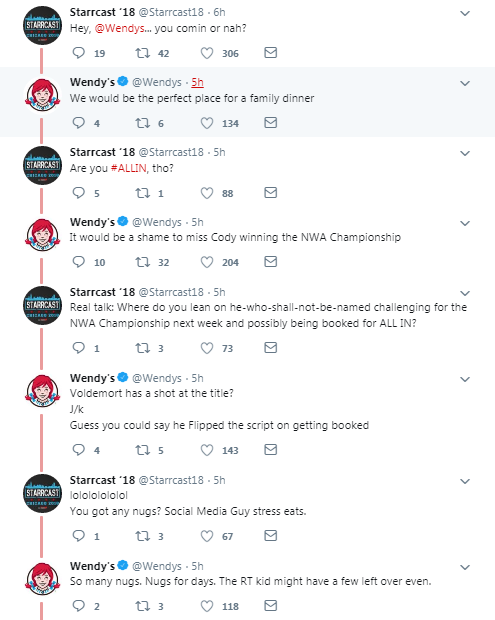 Brands like Wendy’s demonstrate a good understanding of the personal nature of the conversations brands can have on Twitter. Wendy’s well-received wit and sarcastic humor translates well on the platform, and the engagement in likes and RTs shows their unique brand voice reaches an audience outside of just the accounts involved in the conversation. Twitter is a great place for widespread free marketing – all the better to help you with your link building efforts. People frequently link websites in their Tweets. Now, while backlinks from Twitter don’t really impact your search rankings, there’s still some advantage to be had here. How? Well, many bloggers and high authority sites use Twitter and may come across your content. If they like it, chances are they might cite your content as a reference in their own posts, giving a boost to your SEO in turn. Similarly, you might find ideas or references to use for your own articles. Twitter is a good tool to research any bloggers or influencers you want to reach out to in connection with your brand. It’s something I’ve done personally and always found very useful. Several companies do this and you should too: host regular Twitter chats. Twitter chats are open scheduled conversations users conduct as a means to interact with their audience. Typically, they center around a single unique hashtag created by the brand for that sole purpose. This kind of conversation is pretty unique to the platform. It allows industry leaders and interested parties to come together and discuss relevant industry topics. Taking part in and hosting such discussions is a good way to establish your expertise and credibility in the domain. An added bonus is the regular Twitter engagement it rakes in. 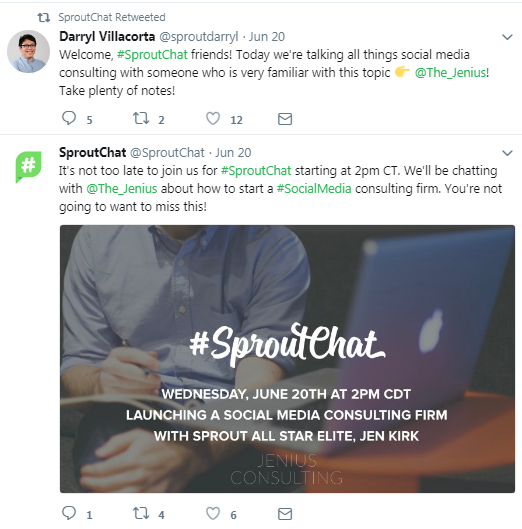 Take Sprout Social’s weekly Twitter chat, #SproutChat, which takes place every Wednesday between 2-3 pm CDT. The conversations focus on topics and challenges that social media marketers and brands face. These chats are a great way to bring together experts and influencers and build your brand authority around an easily identifiable hashtag. We’ve seen why Twitter engagement is a powerful tool for brands. Which brings us to the next point of our discussion – how to improve your engagement rates on Twitter. To earn the maximum amount of Twitter engagement, the simplest trick is to tweet during peak hours. This guarantees the maximum exposure your tweet can earn. However, peak times vary with industry, location, and audience demographics. Experiment by scheduling your tweets for different times to try to figure out the best time that works for you. 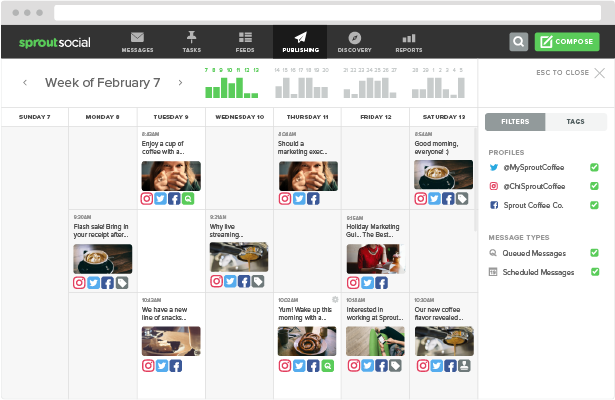 Alternatively, Sprout Social’s post scheduler can help you with that using our ViralPost technology. This applies to Twitter as well as other social media platforms. Adding images or videos to your Tweets will add to their visual appeal. Words won’t grab the attention of a user scrolling through their feeds as well as a post with an eye-catching photo or video. Of course, engaging multimedia content also increases your chances of getting retweeted. Visuals help provide a storyline and context to your content, which can be more difficult to achieve with text alone. The key to driving Twitter engagement rate is providing useful, value-providing content to your audience. 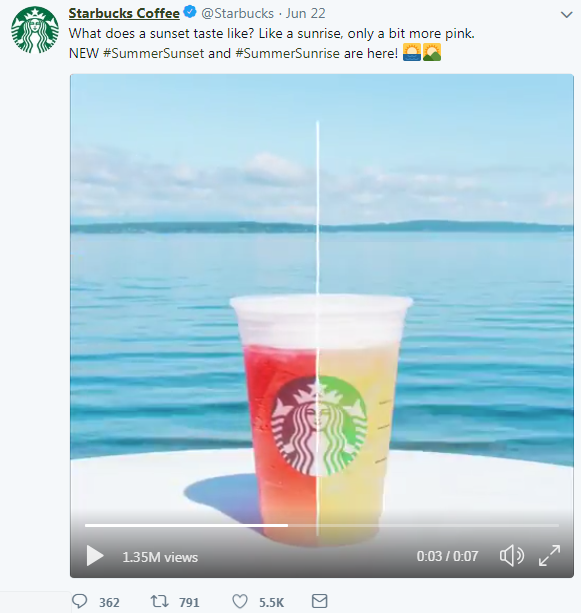 Starbucks keeps things interesting and fresh by regularly mixing up their content on Twitter. You’ll find plenty of appealing photos, videos, and GIFs that reflect their brand identity. Twitter’s algorithm factors in the number of likes and retweets to determine the popularity of tweet. Retweeting and liking your own posts can increase your exposure. If you have a tweet that’s resonated well with your audience, why not keep breathing new life into it every few hours or couple of days? This is good for your Twitter engagement as the tweet will still have its previous engagement visible. You can keep the discussion going and your audience growing as the previous RTs and likes will only encourage others to engage. Additionally, it’s always a good practice to retweet on-topic posts from your audience, since it will make them more inclined to reciprocate. And, while you don’t want to overuse this tactic, you might want to encourage your audience to retweet your content on occasion. Tweets containing links to your blog content are a very valuable asset for brands looking to drive site traffic. You can think of these tweets as links with a headline. Now, while these types of posts can earn you a lot of retweets, it’s not their only benefit. They also drive your Twitter engagement with the link clicks they earn you. Like I said, the best way to improve your engagement rates on Twitter is to share content that adds value to your audience. Adding a link that redirects users to a blog post that provides them with more information is a great way of adding this value. Not to mention it adds to your credibility and helps with your search rankings. There you have it. Twitter continues to be as relevant a tool as it was when it first came out. This relevancy is exactly what makes Twitter engagement essential for modern brands. There’s much to be gained from having an active Twitter account for your business, which is precisely why it’s crucial that you strive to improve your Twitter engagement rates. What’s your take? What are your top strategies for building Twitter engagement? Let us know your thoughts in the comments.